If you think art is timeless, think again… the digital transformation in the creative arts is here, and it’s changing the way institutions and artists interact with their audiences worldwide. It’s popularly believed that artists work with pure ideas, far from the worlds of trade and industry. A quick look at art history, however, says otherwise. Take the colour crimson, a pigment made from crushed insects. This imported substance was once so precious that Medieval Europeans accepted it as currency. More recently, we have the oil industry to thank for acrylic paints, used by artists such as Mark Rothko. But in the 21st century, we’re at the dawn of a new renaissance: the digital transformation in the creative arts. New forms of collaboration and representation are changing art institutions as much as the art itself. So what exactly is digital transformation, and why do the creative industries need it? What Is Digital Transformation in the Creative Arts? Digital transformation means both a culture shift towards innovation, and embracing new technologies such as the Internet of Things, blockchain, and machine learning. We can already see how these are changing customer expectations and allowing organisations to use data as never before. The digital transformation process has four elements: decisioning, innovation, automation, and connectivity. Supporting all of these is a fifth element, enablement. Decisioning: the ability to collect, integrate, manage, and transform data into insights and outcomes. Innovation: a fundamental shift towards long-term creative thinking, with the customer experience always in mind. Automation: this leaves your employees free to think big, instead of fixing manual errors or duplicating labour. Connectivity: cloud computing, integration, API, and data management work together as one unifying force. Enablement: ensuring every part of the organisation has the culture and knowledge it needs to leverage the four elements above. For artists, these elements open up a world of collaborative and data-driven experimentation. For art institutions, they offer unparalleled understanding and interaction with their audiences. The publicly funded arts sector is facing budget cuts and greater demands from funders. At the same time, their audiences are seeking new ways of connecting with culture. Art institutions and artists have realised that if they don’t embrace these technologies, they risk being sidelined by the new generation. 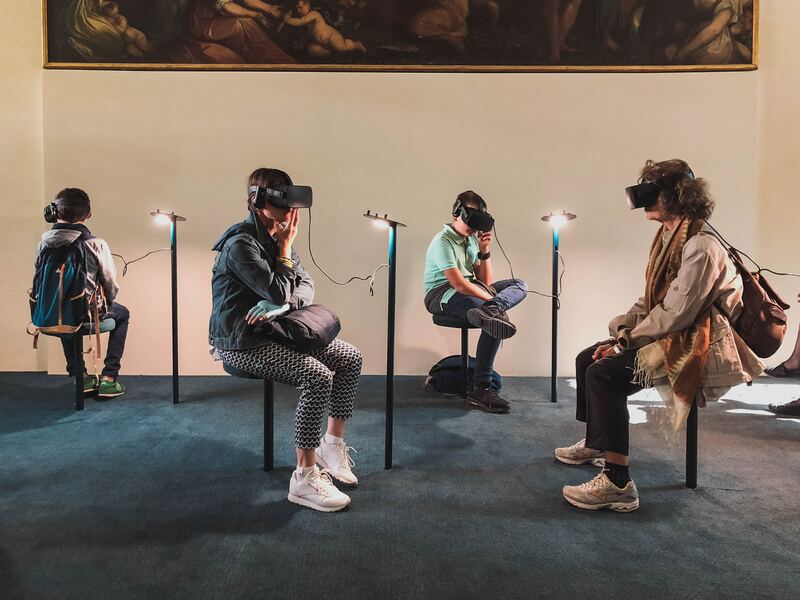 Major art institutions have announced DT initiatives in recent years, with Tate stating its plan to “embed digital skills, processes and a digital culture across the organisation to make digital a dimension of everything that Tate does”. Digital technologies are also enabling radical changes to our perception of art. In April of 2018, a group of artists created an Augmented Reality (AR) app that transformed Jackson Pollock’s paintings in New York’s Museum of Modern Art. For publishers, digital transformation gives editorial managers agile tools to avoid bottlenecks, fast-track approvals, and streamline development. In turn, this means writers can be published faster, cleaner, and with the greatest reach. But can digital transformation help writers in their actual work – writing? Jodie Archer and Matthew Jockers, authors of The Bestseller Code, have shown how AI can predict the next fiction bestsellers. In an industry where John Grisham was turned down by 16 editors, AI might make a big difference in aligning publishers with what readers want. Major UK publishers – including Taylor & Francis, Harper Collins, Bloomsbury, and Oxford University Press – have asked Influential Software’s publishing consultancy to transform them into digital enterprises. We might say that digital has not been kind on the music industry. Many bands and labels are struggling against the tide of streaming music and free downloads. The band crowdfunded its world tour in 2014, with a special offer that the funders would receive two limited edition EP’s. They also created an online membership scheme where fans can get free tickets to shows, access to live interviews with the band, tutorials, dinner with the band, and VIP access. Architects have been using digital design tools for a long time. But until now their models were either on-screen or small-scale. With mixed, augmented, and virtual reality, they can put themselves and clients inside the building before the building work has even begun. These digital tools allow teams and clients to explore design choices from an informed perspective. Architects say that these previews minimise on-site changes and remedial work after construction. Are You Ready for Digital Transformation in the Creative Arts? As these examples show, digital transformation is not hype – it’s happening. The Influential Software team has lived the digital revolution first-hand, with over 25 years of experience in the industry. Our expert consultants, service providers, and developers work in tandem to ensure UK businesses have the tools and knowledge to exploit digital. That expertise is invaluable when embarking on your transformation. If you’re eager to learn more about our services, contact a member of our digital transformation team.